What is there to be angry about? Only the name. Besides that, though, there is no reason to be upset about the start of Fury Brewing in North Huntingdon. The space is cool and accessible, there is pizza and the beer is good across the board. Fury is the result of a two-year push by four partners — Ryan Slicker (that’s him above), Tom Jenkins, Stephen Hoffer and Ernie Slicker — that culminated in late March, when the brewery opened in a strip mall along Route 30. 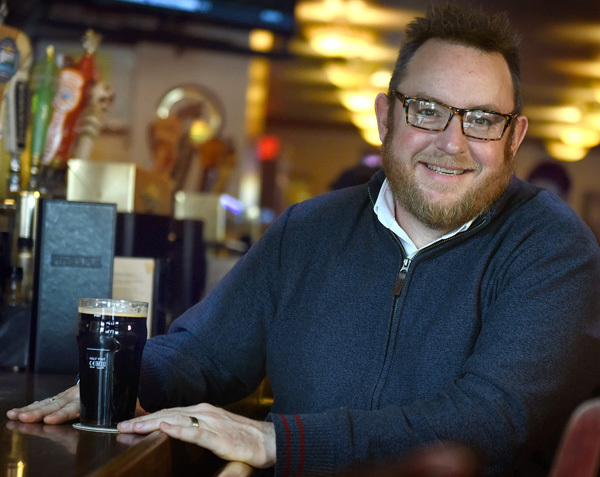 Since then, a steady stream of rotating beers — from Carson Street Kolsch to Stealth American stout — have showed in Fury’s taps and at a couple other nearby tap spots. Ryan Slicker, Fury’s head brewer, began as a homebrewer, racking up awards in local competitions. With those in his back pocket, he began talking with Hoffer and Jenkins about how a startup brewery might work. The plan was to offer a diverse lineup of beers — the partners aren’t all hopheads, for example, so expect to see plenty of malt-forward beers — the delicious Ale-ementary English brown ale is a great example — on the tap list. That’s not to say hopheads won’t be happy. Sid’s 1K IPA has been popular enough that Slicker had to take it off the list while a fresh batch percolates in the fermenter. And be sure to pay attention to the Hoff SMaSH single-hop pale ale series; when I visited, there was a Centennial version and one made with Moteuka, a hop from New Zealand that imparts a bright, juicy start and a crisp, dry finish. I love that kind of experimentation, and this series — named in honor of partner Hoffer — shows a lot of promise. One beer that’s not on? Slicker’s award-winning German pilsner, because Fury doesn’t yet have the capability to cold ferment lagers. Slicker said that’s coming soon … and in the meantime, his kolsch — the Carson Street variety and a new one that will be on shortly — fills the lighter side of the bill nicely. Despite the name and the fiery-looking dude in the logo, there is nothing infuriating — or even mildly irritating — about Fury Brewing … with the possible exception of that missing pils. But that’ll be fixed soon enough, and in the meantime, Fury is a great reason to hit the road to North Huntingdon for a beer. Mike and New Belgium brewer Willy Tarango enjoy two Fat Tires at Over The Bar Bicycle Cafe on Carson Street. If “Smokey and The Bandit” had been filmed a couple of years ago, Snowman’s semi probably would have been filled with New Belgium’s Fat Tire. Back then, the truck driven by Jerry Reed was filled with Coors, the beer that everyone in the East coveted because we couldn’t get it on our side of the Mississippi River. But until New Belgium started distributing in Western Pennsylvania a year ago this month, that mythical, unavailable beer we pined for would have been the rich amber ale that’s been the flagship beer of the Fort Collins, Colorado, brewery since it got started 25 years ago. 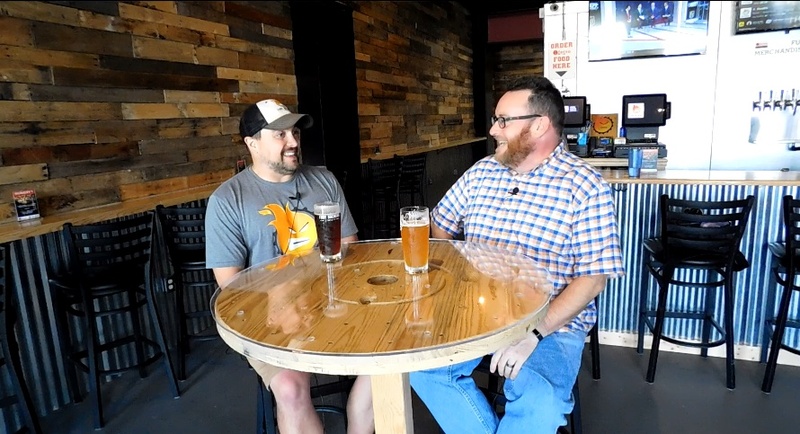 I had a chance to talk with some of the brewery’s employee-owners about how New Belgium moves into a new market; some of the considerations behind the plans were things I expected and some were surprising. The easy part? New Belgium didn’t jump into the eastern side of the country until it had plans in place for its new production brewery in Asheville, N.C.; the extra capacity from the new brewery, which opened this year, was a solid insurance policy for a brewery moving into the Northeast for the first time. The surprising thing? 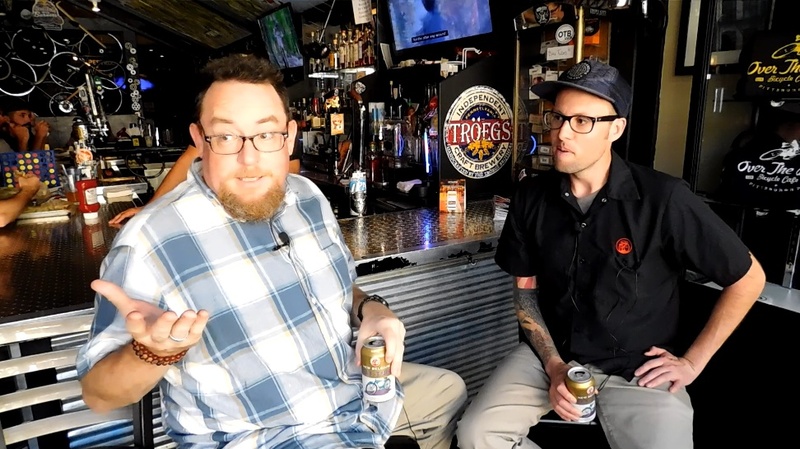 Extra capacity is great, said New Belgium brewer Willy Tarango, who visited Pittsburgh this month for a short promotional trip marking the Pittsburgh anniversary; but what if you don’t have enough viable yeast to ensure consistency in the products coming from two different breweries. How does the team of brewers at New Belgium accomplish that? Mr. Tarango explains in this week’s show. And if the details of yeast aren’t your thing, no worries — go grab a six-pack of Fat Tire and just be thankful there was plenty to go around.